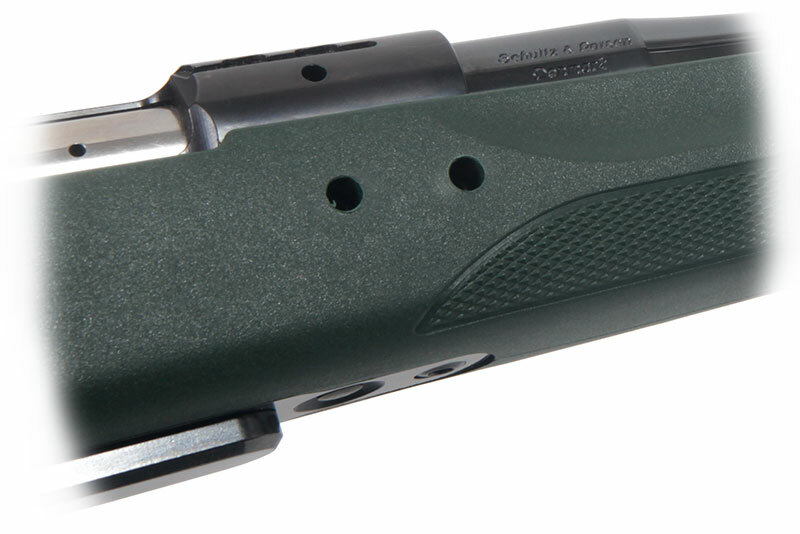 NEW to the Schultz & Larsen range, the Classic DL is now available with a Synthetic Stock. The action has identical specification to the the regular Classic DL. Featuring the Classic Traveller conversion with two access holes in the side of the stock allow fast barrel removal without the need to remove the action and bottom work from the stock. Insert the wrench, slacken the barrel securing bolts and pull out the barrel. 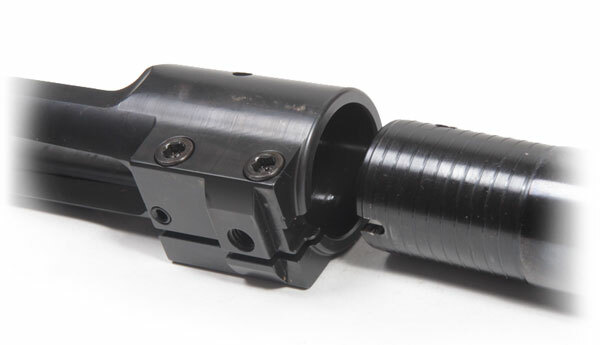 The stock is relieved to allow the thicker breech portion of the barrel to move forward in the stock. The Classic Traveller feature allows simple break down to compact size for conveneince when travelling. The Classic Synthetic stock features a raised comb with a cheek piece and is available in Dark Green Colour. It is a solid stock with a high fibreglass content for rigidity and low recoil. Early tests are very impressive. The stock has high quality checkering on the grip and the forearm for added grip in the wet. 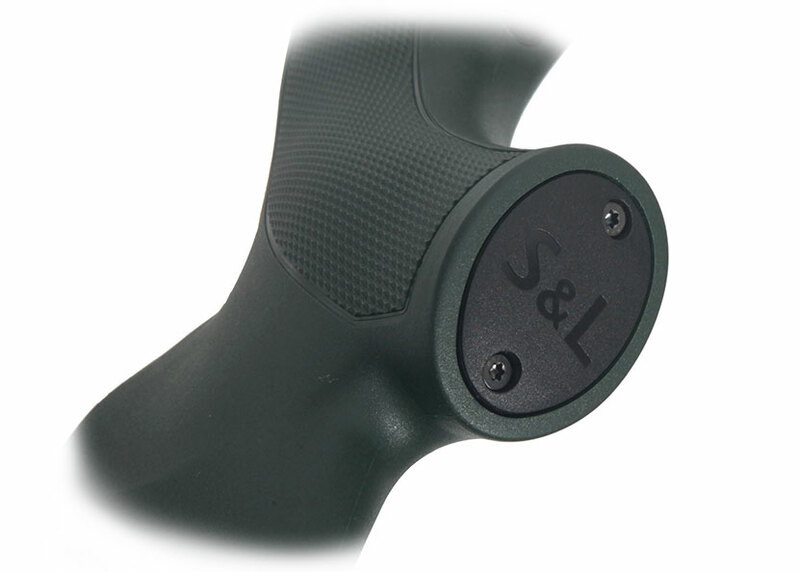 With detailing such as "S&L" logo on the grip cap and "Schultz & Larsen" on the recoil pad. The Classic Synthetic featuring the Schultz & Larsen TMD Sound Moderator and a 50cm Fluted Barrel. 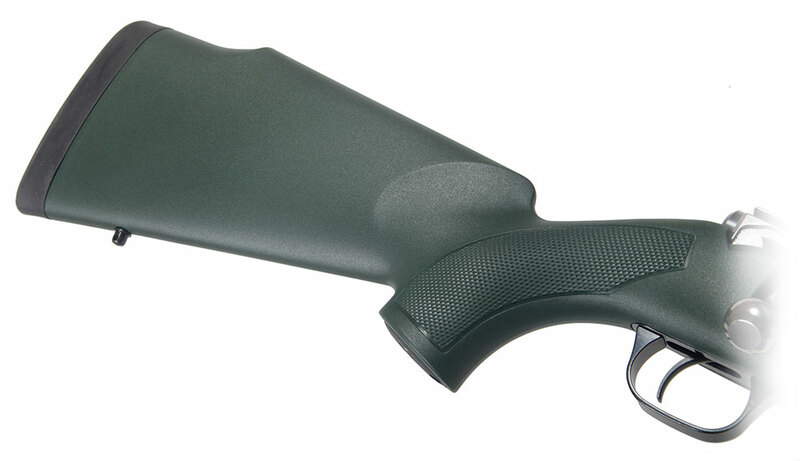 All of the Schultz & Larsen Classic Synthetic rifles come with a black rubber recoil pad fitted. The "Schultz & Larsen" logo is embossed onto the pad. The Schultz & Larsen Classic Synthetic features a black synthetic grip cap with the "S&L" embossed on it. The barrel can be unlocked through the holes located on the right of the stock. The Classic Traveller has been designed with fast access for barrel changing in mind. Simply slacken the two screws and ease the barrel forward. Be careful! If you pull too hard the barrel will jump forward and may jam in the barrel channel damaging the stock. The Classic Traveller has a switch barrel system allowing the barrel to be changed for any other in its calibre group with just a simple wrench. The standard bolt can be used with all calibres in the standard calibre group but if changing to a Magnum calibre you will need to change the bolt. Safety has top priority with all locking parts designed and tested to withstand at least three times normal load. 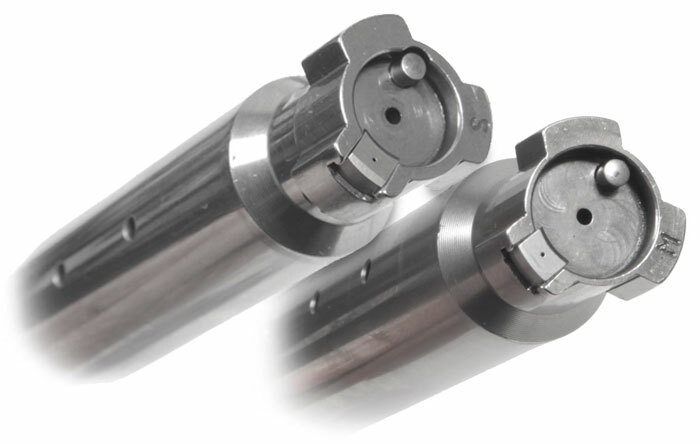 In the case of an overload resulting in a primer blow-out or case rupture, the high pressure gas can escape through holes in the front of the action and on the side of the bolt. This coupled, with the extremely tight fit of the bolt and action, ensures that the shooter is not injured. 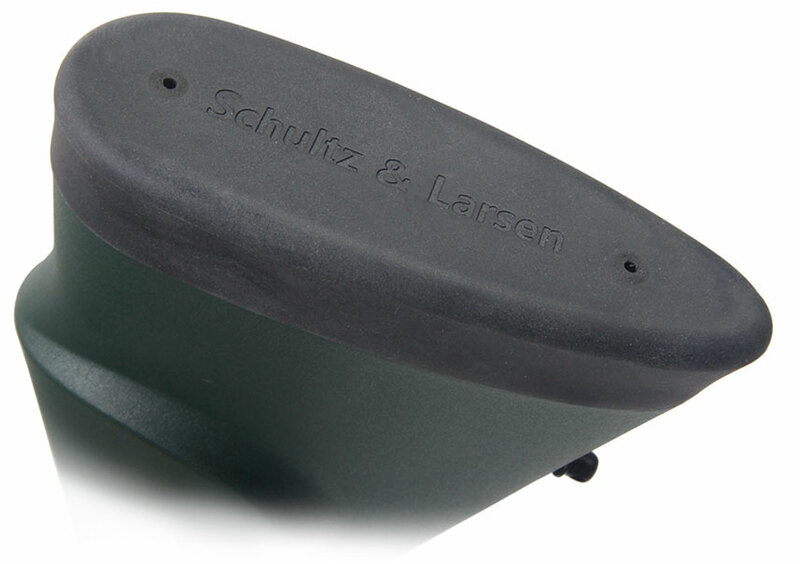 Schultz & Larsen manufacture their own range of sound moderators, designed to complement their rifles. The range includes both muzzle mounted and over-barrel moderators, all designed to withstand repeated firing with heavy calibres. 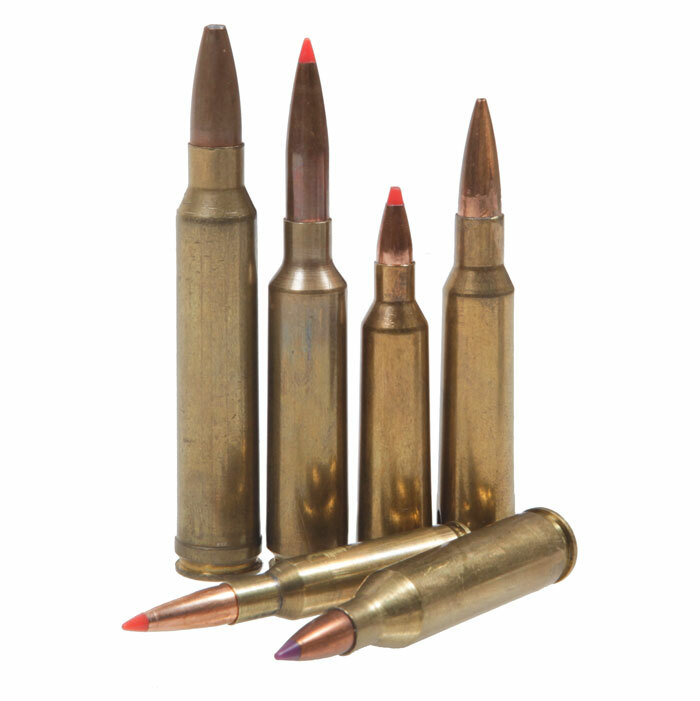 The popularity of the Schultz & Larsen moderators is such that a range of thread sizes are available to fit other rifle brands.